Giles is the Founder and CEO of Global Impact Initiative (GII). GII works with a variety of organizations to create impact investments, seeking both a positive financial return and positive social or environmental impact. The business creates bespoke investment solutions that map the UN Sustainable Development goals. Giles has over 20 years of experience building and developing teams, businesses and distribution strategies for global enterprises. Giles has a unique blend of leadership and business skills gained in the corporate environment married with financial and governance skills gained in the Not for Profit sector. Giles holds numerous Volunteer Not-for-Profit Directorships ranging from Human Rights, Disabilities, Arts and Sports. 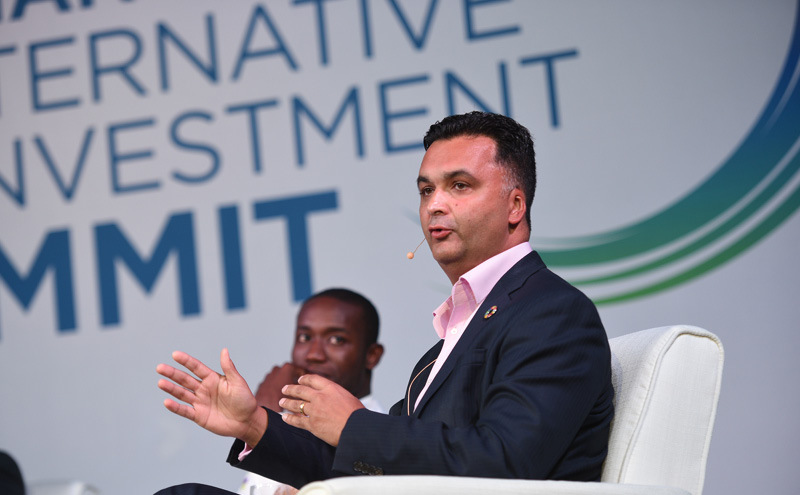 At the 2018 Cayman Alternative Investment Summit Giles spoke on the “Philanthropy & Impact: A New Model for A New Age” panel. We sat down with him during the event to learn more about the Global Impact Initiative and the evolving impact investing industry. Q: How did you first get into impact investing? A: I started studying impact investing in 2010. I was looking for ways to combine the capital that exists in the business world with the great ideas that exist in the NGO world. As I thought about it more, I started looking for a way to combine those two interests and my skill sets. In 2013 I attended the Advanced Management and Leadership program at Oxford University. My cohort was 35 people, 26 nationalities, 19 different industries and an age group of 35-65. I learned the value of diversity and the positive impact it makes to decision making. I wanted to find a way to incorporate those values into a career and impact investing afforded me that opportunity. Q: What is your focus at the Global Impact Initiative? A: I started Global Impact Initiative (GII) in 2015 to provide investors (foundations, family offices, pension funds, endowments) with bespoke solutions that would allow them to allocate to impact investing strategies. We map these bespoke impact investing strategies to the UN SDGs and utilize professional investment managers alongside social impact investment firms to ensure the strategies we build for clients meet their financial and social impact targets. Our vision is to achieve impact investing at scale, which means engaging the ecosystem to enable this to happen. Q: How viable or useful are the UN SDGs as a metric for impact? I do believe that social impact must be monitored and measurable. Investors will have a different definition of impact and that’s OK! It should be customized to fit into an investor’s overall objectives and investment philosophy. Q: What are some of the differences in how pension funds around the world approach impact investing? A: European and Canadian pension funds are ahead of pension funds in the U.S. and Australia when it comes to embracing impact investing. There are a lot of reasons for that. For one, trustee boards in the U.S. and Australia rightly have a lot of influence but also behave very conservatively due to their size. There needs to be proactive rules and regulations that promote and encourage impact investing. There are multiple studies that show that pension fund beneficiaries, whether in the Netherlands or California, want their assets to be managed responsibly. It will only be a matter of time before we see the U.S. and Australia catch up to Europe and Canada and this will largely be driven by investors demanding their money is managed for a positive financial return and social benefit. Q: What needs to happen for the alternative investment industry to embrace impact investing? A: The alternative investment industry is behind when compared to other sectors of the funds management industry. There’s a lot of interest but implementation has been slow. The alternative investment management industry can play a large role in implementing impact investing strategies as they have the intellectual and technological capital to do so. The millennial workforce as well as millennial investors will ensure that this change happens sooner rather than later. Pension funds hold the key to doing impact investing at scale. Many are already demanding that all the managers in their portfolio invest responsibly and sustainably regardless of what asset class they manage. It has happened in Europe and is starting in Australasia. It is only a matter of time before it is implemented globally and thus it is important for all investment managers to stay in front of the wave!